The Cake is sourced from Pearl Continental Hotel in Lahore. 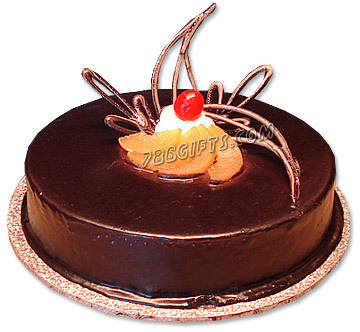 This mouth watering Chocolate Fudge Cake will aptly express your feelings for your loved ones. This cake would melt in the receiver's mouth creating exotic sensations that would bring him/her closer to you. Note: The shape of cake shown may vary slightly in some cases.